Going green can have many meanings. Some people are simply trying to save a little energy. Others want to lessen their overall carbon footprint on the earth. 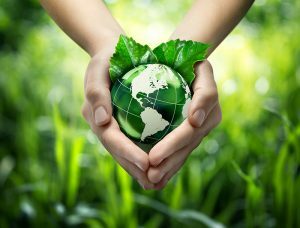 Whatever your green goals are, your HVAC system is a great place to start. Heating and cooling make up about half of the total energy used by the average American household. What if you could reduce that number by half? Imagine what a difference that would make to the earth and to your budget. Here’s what may surprise you: one of the easiest things you can do to reduce the amount of energy your HVAC system uses is to schedule yearly maintenance on your HVAC system. Not only will this help conserve energy, but it will also help keep your system running smoothly and alleviate the need for full-blown AC repair in Eden. Consider the following energy-saving measures. Upgrade to a high-efficiency HVAC system. Not all air conditioners are created equal. Each one is assigned a SEER (Seasonal Energy Efficiency Ratio) rating. The higher the SEER, the more efficient the machine. If your system is more than 8 years old, upgrading could save you significant energy and money. Schedule yearly AC maintenance. Keeping your system tuned up allows it to run as efficiently as possible. Scheduling bi-annual maintenance is an excellent way to save energy. And if your system breaks and you need AC repair in Eden, Carolina Fuels will inspect, clean, and lubricate your unit in addition to repairing it, so that it is in top energy efficient shape. Inspect/increase your insulation. Your home’s insulation can make a huge difference in the efficiency of your HVAC system. You may have leaks or areas where the insulation is thin in your home and not even know it. Carolina Fuels offers free energy audits that pinpoint the areas where air may be leaking in or out of your home. Patch up these areas and your home will be much more eco-friendly. Have your ductwork inspected for leaks. Another possible leaky area is your ducts. The professionals at Carolina Fuels can inspect your ductwork for leaks, clean them out thoroughly, and repair any places where air is seeping in or out. Use landscaping to your advantage. Trees and other greenery offers valuable shade for your home in the summertime that can help to lower the indoor temperature. Natural shade means your home stays cooler and your AC will run less often, not to mention the beauty of the natural landscape in your yard. Upgrading also means earth-friendly refrigerant. Older air conditioners used a certain type of Freon called R-22. This type is being phased out because of the ozone damage it caused. By upgrading to a new AC unit, you are reducing the strain on the ozone layer. Going green not only benefits the Earth, but it saves you money as well. Your monthly energy bills will be lower, especially during the height of summer when temperatures peak. Upgrading to a high-efficiency AC will pay for itself in just a few years of operation, especially when you keep it well maintained with regular maintenance. To schedule maintenance or get a free quote on a new high-efficiency HVAC system, call Carolina Fuels: (336) 623-9741. 6 Little Energy Saving Tips that can Save you Big Money Which Filter Type is Best for Allergies?